Here's the article that started it all. Someone posted this in my biggest group chat (like almost 800 people) and asked us for our opinions. 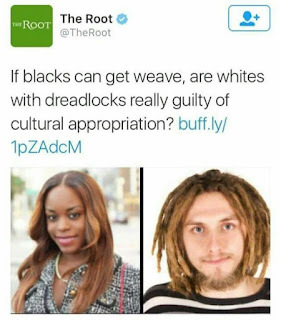 Some said black women wearing weave isn't the same as white people locking their hair, and they don't like to see white people with locks. 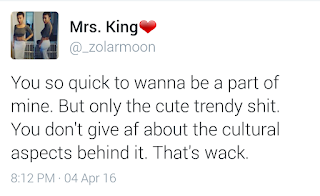 They reasoned that white people don't actually understand the culture they get the style from. Others said that weave and locks are the same, as both are forms of hair manipulation. While that part is true, that's not the question the article asks. 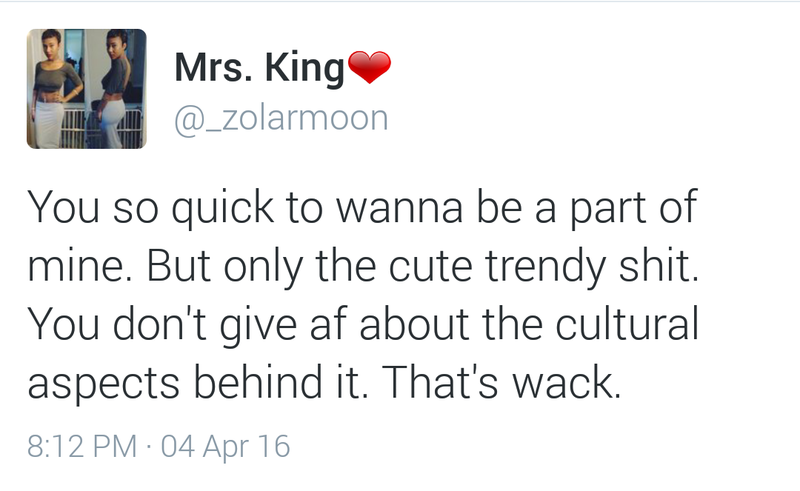 First, do you even know what cultural appropriation is? Here's the definition. By the way, nobody asked you if you mind white people who appropriate black culture. So don't give me that. Are white people guilty of that definition in the context of locking their hair? Yes or no. Yes? That's what I thought. Quit giving them passes and praises for mediocrity. We cannot appropriate white culture because it is the dominant culture. For decades, many black people abandoned their natural looks and manipulated their hair to escape terrible social conditions (i.e. racist white folk). 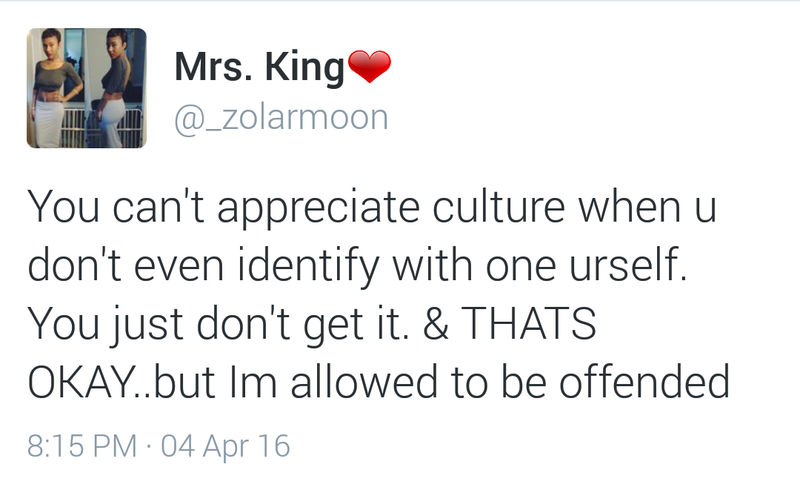 It's the same reason why we change our language, dress and mannerisms in white spaces. We want to survive, and hopefully, thrive. 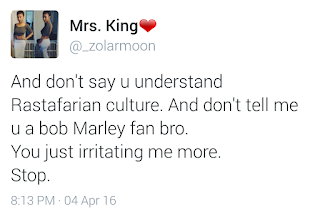 Why do you think that black people naturally only look a certain way? And who asked you, anyway? The fact of the matter is black people have more genetic variations than any other race. Our hair can grow straight and/or wavy. Every black person knows at least one other black person with blue or green eyes, features that tend to be associated with white people. I definitely have a problem with people thinking we're trying to be anything but ourselves. 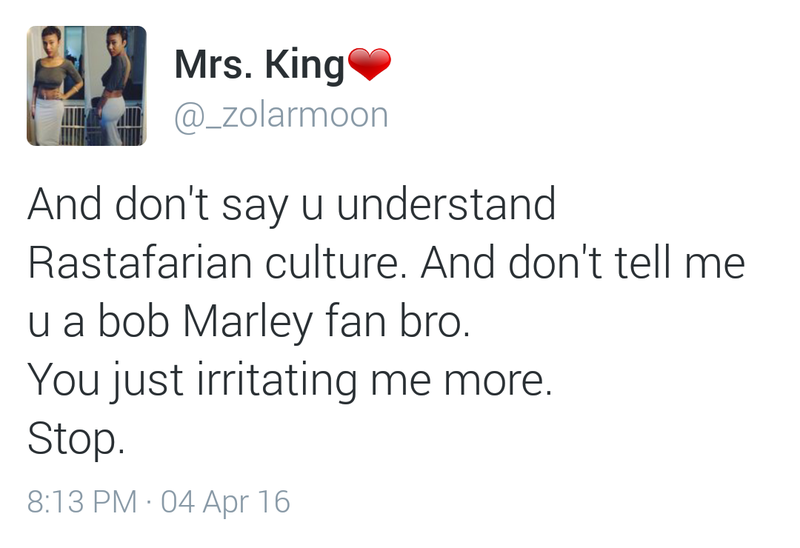 I'm going to let my girl Aziah King (better known as Zola) wrap this up. Feel free to let me know how you feel in the comment section below!